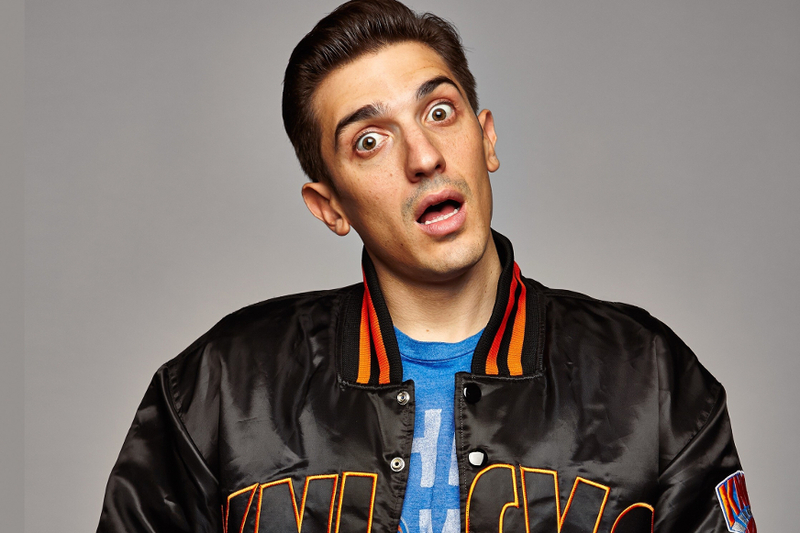 A native New Yorker and internationally touring stand-up, Andrew Schulz is known for his hilarious and unapologetic comedy. Schulz challenges conventional wisdom with an NYC tone that is often idiotic, at times brilliant, but always hysterical. His debut album 5:5:1 launched in June 2018 as the #1 comedy album and #19 album across all genres on iTunes. He recently starred in the sitcom BENDERS (now available on Netflix), can be seen in Amazon’s SNEAKY PETE and the new season of HBO's CRASHING, co-stars in the new Hulu dramedy THERE’S JOHNNY, and appears in the feature films FEAST OF THE SEVEN FISHES, THE FEMALE BRAIN and David Gordon Green’s HALLOWEEN reboot. Schulz additionally starred in numerous shows for MTV including GUY CODE, GIRL CODE and UNCOMMON SENSE. In the podcast realm, Schulz can be heard on the wildly popular THE BRILLIANT IDIOTS -- co-hosted by nationally syndicated radio and television personality Charlamagne tha God -- the hilarious sports commentary podcast FLAGRANT 2, and the film and TV analysis podcast WESTERBROS. On social media, Schulz maintains a high level of engagement with his fan base of over 100,000 Instagram followers and 200,000 YouTube subscribers. His stand-up clips on YouTube have over five million views.